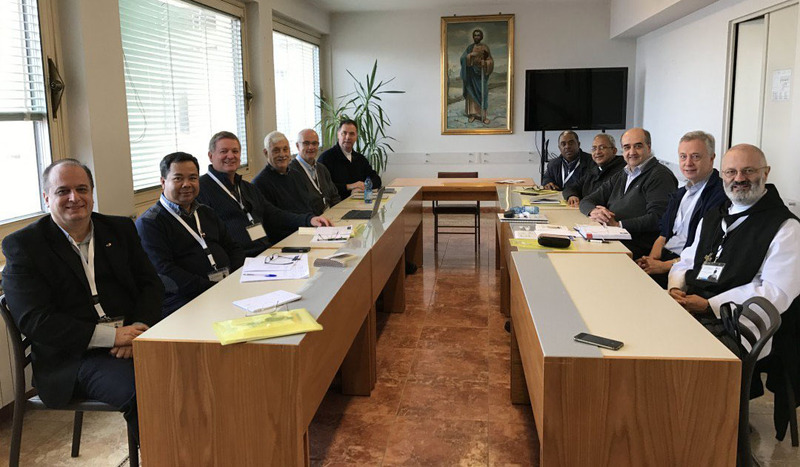 (Ariccia, Italy) – Father Michael Brehl, Superior General of the Congregation of the Most Holy Redeemer (Redemptorists) was elected Vice President of the Union of Superiors General (USG). 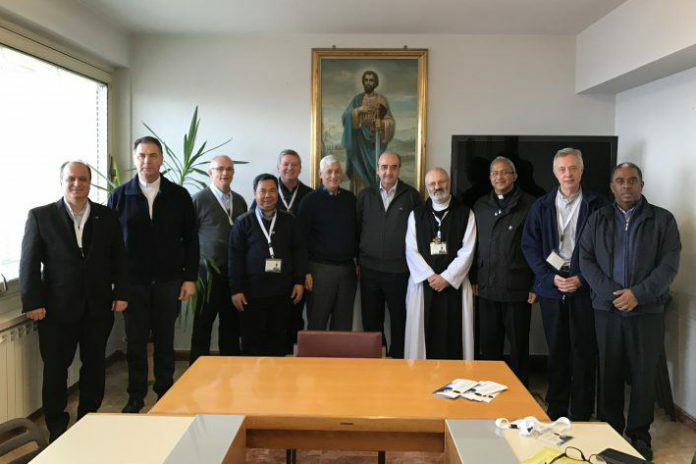 As the new president of the USG, Father Arturo Sosa Abascal, General of the Society of Jesus, was elected. 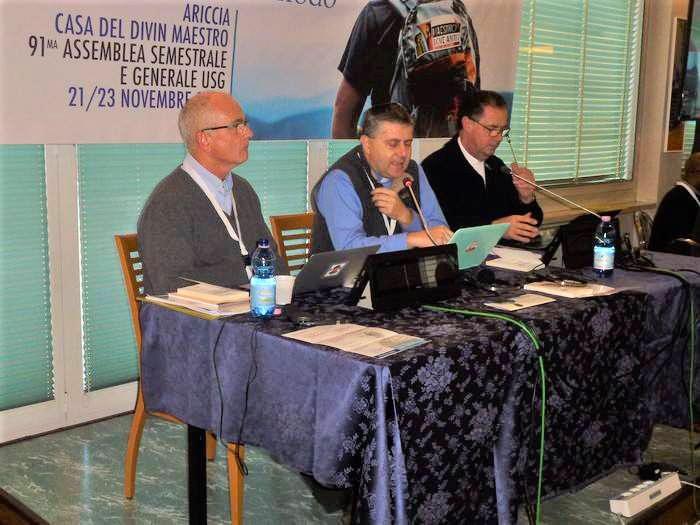 The election took place during the working of the 91st half-yearly General Assembly on the theme: “Youth, faith and discernment” that took place from November 21 to 23 at the Casa del Divino Maestro in Ariccia (adjacent to Rome, Italy). The other members of the meeting are: Fr. Pedro Aguado, Scolopio (Superior General of the Piarists), Fr. Mauro Leopori (Abbot General of the Cistercian Order of the Common Observance), Fr. Laurentius Tarpin (General Master of the Regular Canons of ‘Order of the Holy Cross’), Fr. Alejandro Moral (Prior General of the Order of Saint Augustine), Fr. Ángel Fernández (Rector Major of Saint Francis de Sales), Tesfaye Tadesse Gebresilasie (Superior General of the Comboni Missionaries of the Heart of Jesus), Fr. Valdir José de Castro (Superior General of the Society of Saint Paul), Fr. Tomaž Mavrič (Superior General of the Congregation of the Mission and of the Company of the Daughters of Charity), Fr. 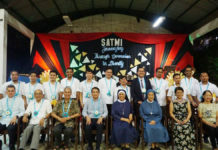 Mathew Vattamatam, CMF (Superior General of the Missionary Sons of the Immaculate Heart of Mary, Claretians),and Brother Ernesto Sánchez (Superior General of the Marist Brothers). There were four main themes for the round tables and the dialogue in the Assembly: 1. Discernment as a style of the church, 2. 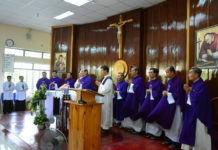 Educational Accompaniment and proclamation of the Gospel, 3. Life as a vocation and different vocations, 4. A Church for and with young people. On the second day, during the afternoon sessions two other Synodal fathers Fr. Michael Brehl (Redemptorist) and Fr. Angel Fernandez Artime (Salesian) spoke. Even before the synod, Fr. Brehl had met and known several groups of young people in various parts of the world. When talking with them, he understood the importance of relating to the youth world, the transition from “for” young people to “with” young people. In fact, they are not so much the “future” of the church, but they are above all their “present” and that is precisely why they want spaces where they can make the most important decisions together. In the digital world, for example, adults must humbly learn from young people. The direct comparison, as the space for a continuous dialogue with them, can no longer be deferred. Father Brehl said in his speech that the “us” on the one hand and “them” on the other is an attitude that one should have the courage to leave either as soon as possible.